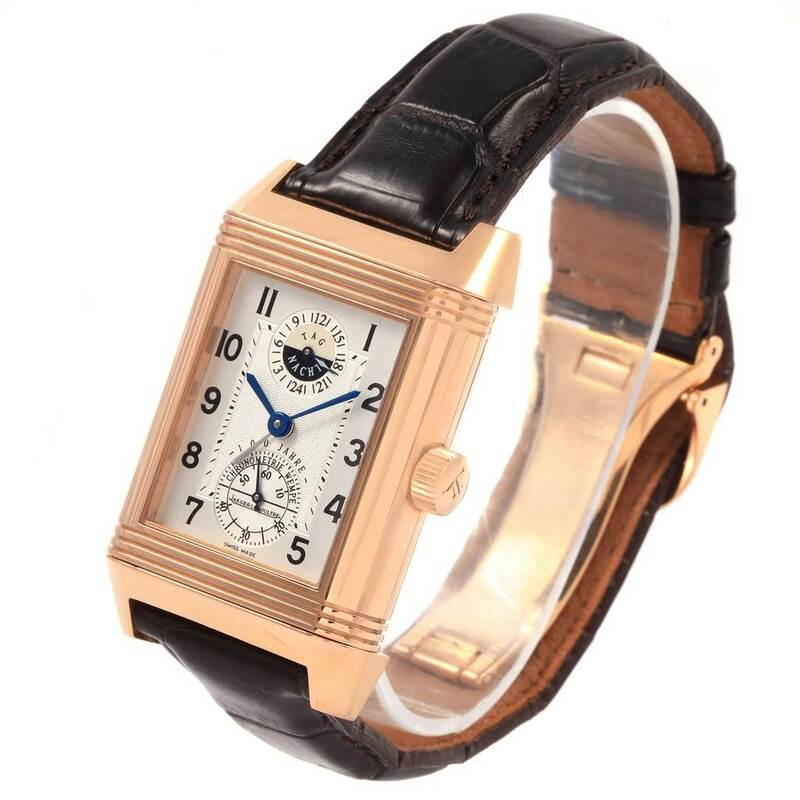 18K rose gold 29.0 x 47 mm rectangular case with reeded ends rotating within its back plate. Exhibition case back. 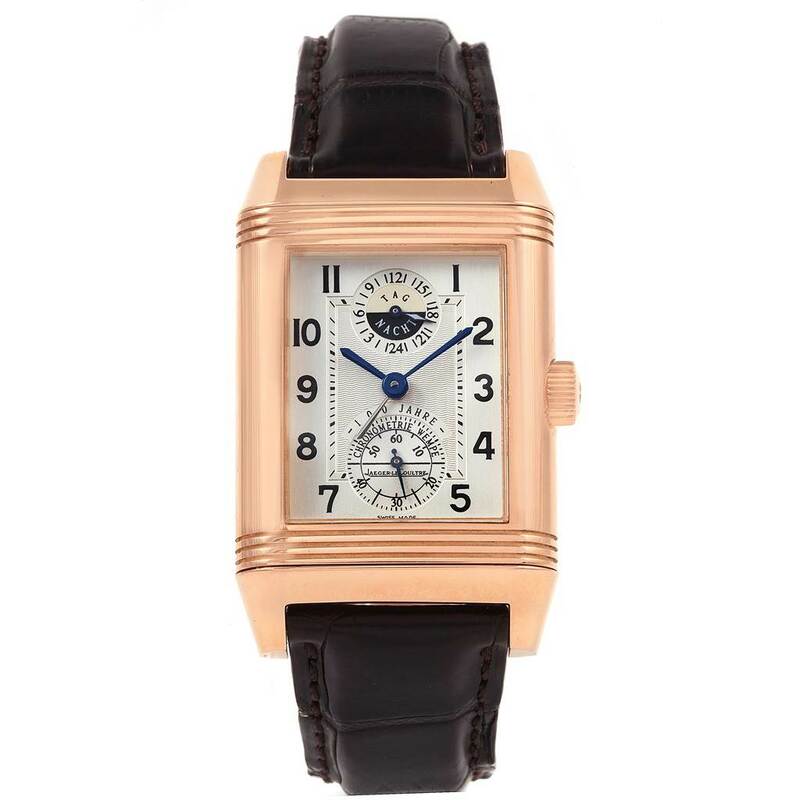 18K rose gold reeded bezel. Silver guilloche dial with painted Arabic numerals on an outer reserve, subsidiary seconds dial, apertures for the GMT AM/PM indication at 12. Blued epee hands. 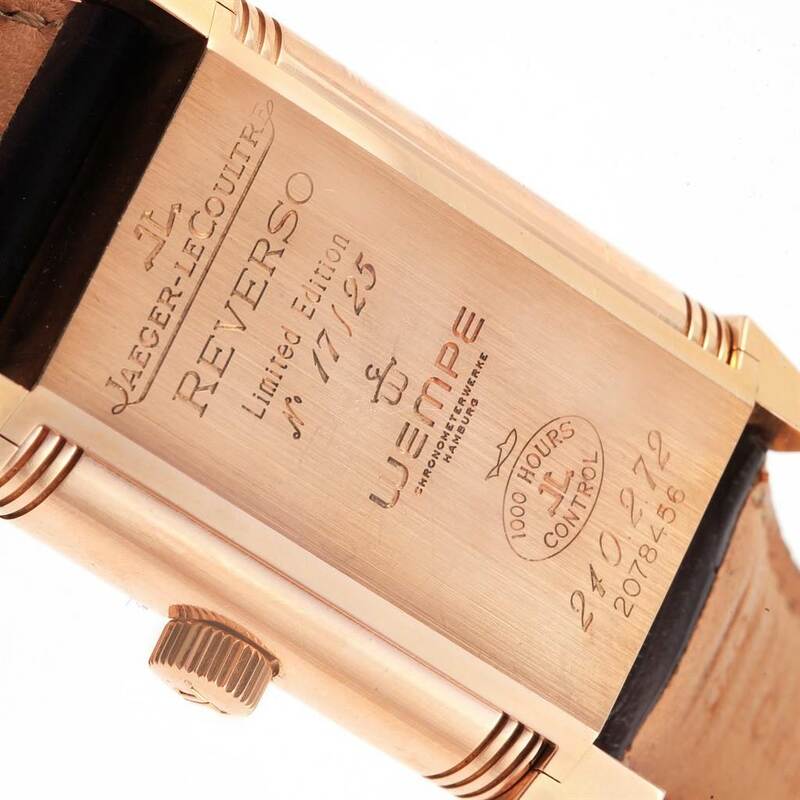 Dark brown strap with 18K rose gold deployent buckle. 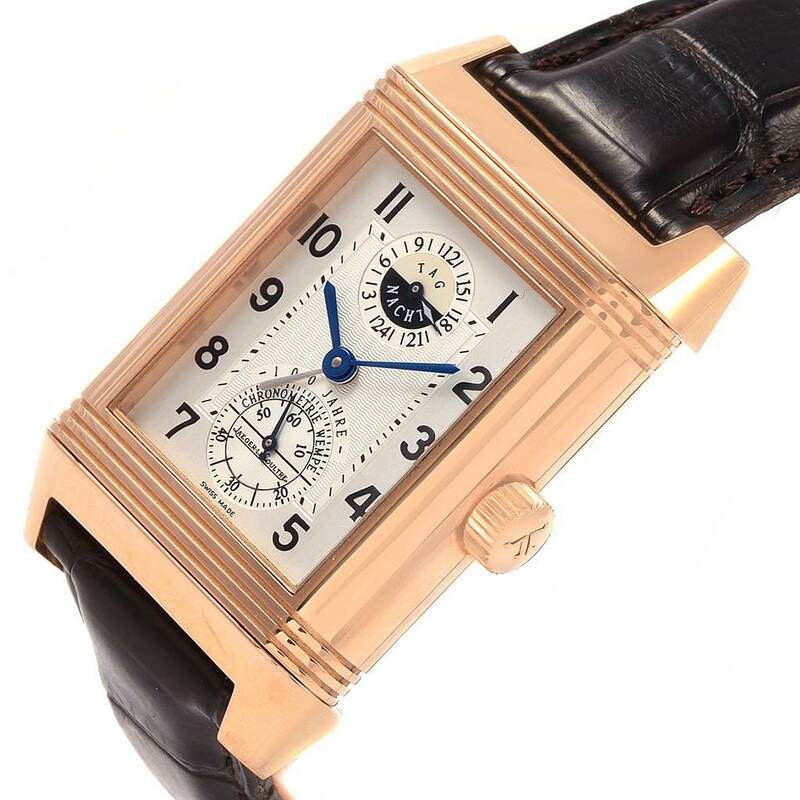 Jaeger LeCoultre Reverso Rose Gold Wempe Limited Edition Watch 240.2.72. Automatic self-winding movement. 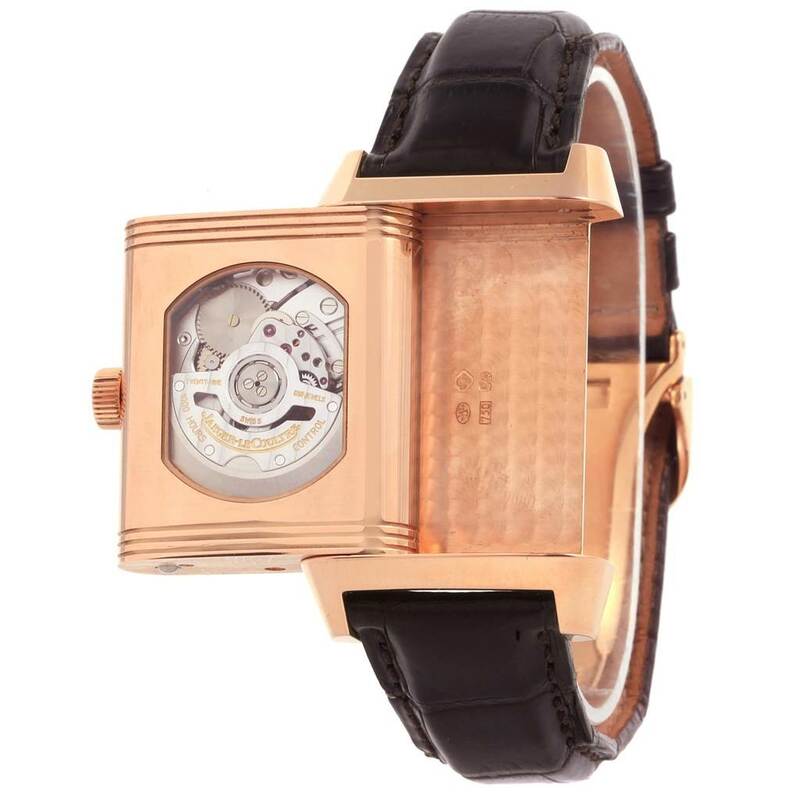 18K rose gold 29.0 x 47 mm rectangular case with reeded ends rotating within its back plate. Exhibition case back. 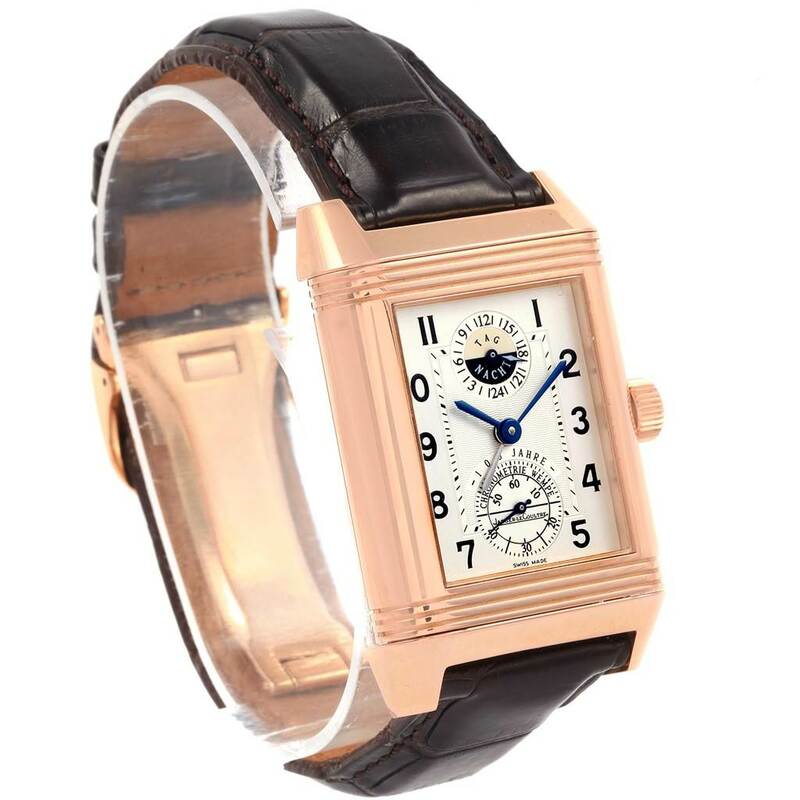 18K rose gold reeded bezel. Scratch resistant sapphire crystal. 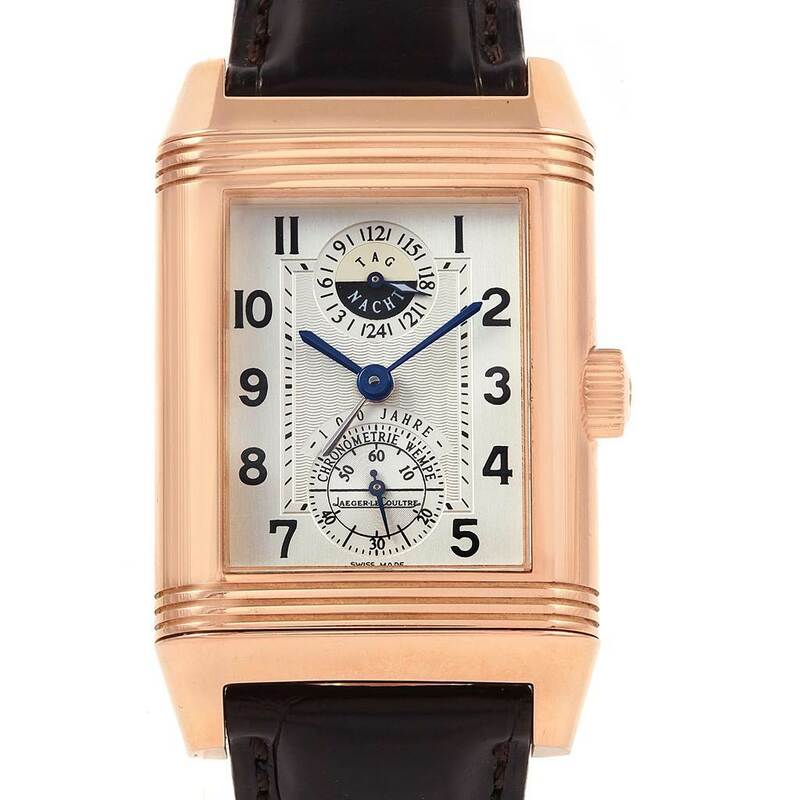 Silver guilloche dial with painted Arabic numerals on an outer reserve, subsidiary seconds dial, apertures for the GMT AM/PM indication at 12. Blued epee hands. 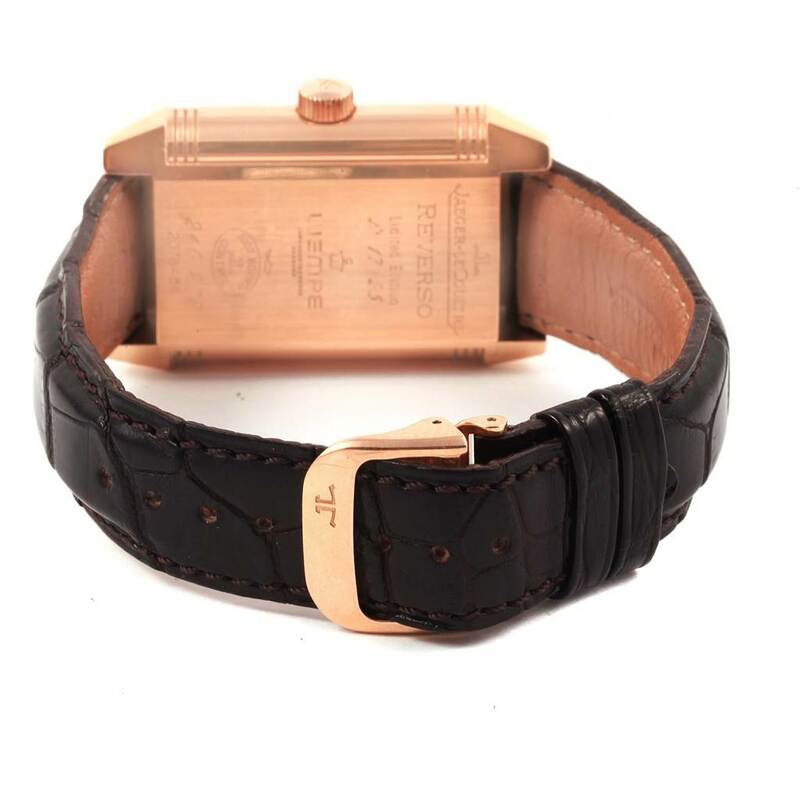 Dark brown strap with 18K rose gold deployent buckle.